A root canal is a dental treatment that is used to repair and save a tooth that is very decayed or infected. 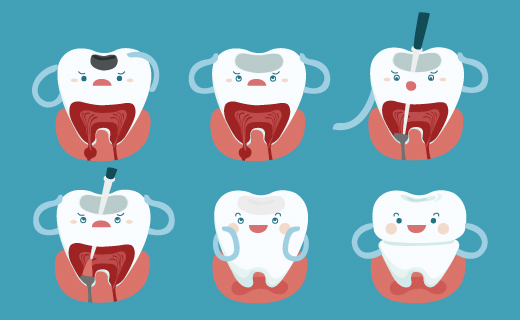 It’s performed when the nerve of the tooth gets infected or the soft pulp within the tooth becomes badly damaged. A root canal provides relief by removing the infected and damaged areas in the tooth that are causing your pain. While the procedure is often thought to be painful, most people say it’s as pain-free as getting a filling. And by finding an affordable dentist or a specialist in endodontics in Peoria, the root canal also won’t hurt your wallet. Persistent swelling and tenderness in the gums. Severe tooth pain when chewing or applying any pressure to the tooth. Ongoing sensitivity to hot or cold temperatures, even after they’ve been removed. Recurring sores on the gums. If you’re suffering from these symptoms, see your family dentist or find an affordable dentist immediately. An x-ray will be taken to see the shape of the root canal and detect signs of infection in the bone. 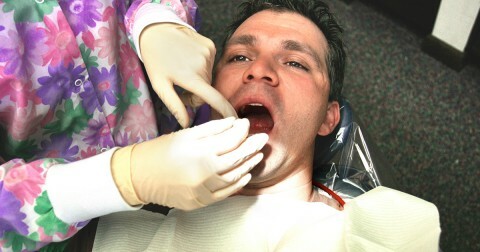 A local anesthesia will be used to numb the area near the tooth. A rubber dam will be placed around the tooth to keep the area dry and free from saliva. An access hole will be drilled into the tooth. The infected pulp, decayed nerve tissue, bacteria and related debris will be removed from the tooth. The interior of the tooth will be thoroughly cleaned. The tooth will either be sealed immediately or covered with a temporary filling and sealed a few days later once the infection has healed. A crown may be placed on the tooth to restore it to full function. The root canal should relieve any pain you’ve been facing. In fact, root canal treatment has more than a 95% success rate. You may experience some sensitivity around the tooth for a few days after the procedure. Your family dentist will either prescribe medication or recommend an over-the-counter pain medication. Continue to brush your teeth and floss as you normally would. Most people are able to return to their regular activities the very next day with a smile of relief on their face. On time, informed me what was being done and cared about my apporintment. My hygenist is fantastic – not only the face of Maple Shade, but the hands and the heart of Maple Shade as well. Competent team of doctors and staff. Very professional but friendly.